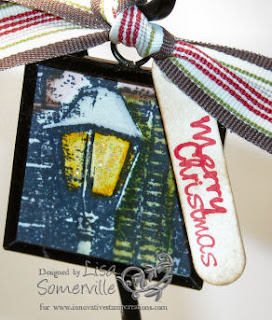 This weeks challenge is quick and easy....Alter a Tag using any technique listed on Tim's Blog. What you create is up to you - just be sure you use ISC images only on a tag along with any of Tim's Techniques....ISC carries tags if you need them - 10, #8 manilla Tags for $1.50. What can you win? 1 pkg of Tags and the Mona Lisa Stamp Sheet from ISC! How to enter? Simply create your Tag using ISC images only using one of Tim's techniques and post a link on the ISC Blog by Sunday 10/26. If you upload to SCS use keyword ISCC16, but also be sure to leave a link on the ISC Blog. Good Luck! Here's a cute Christmas Ornament made using an image from the Christmas Trinkets and the Ranger Memory Frames. The images on this sheet work perfetly with the Memory Frames. My sentiment is made using my JustRite 2X's Stampers (this particular one is no longer available). 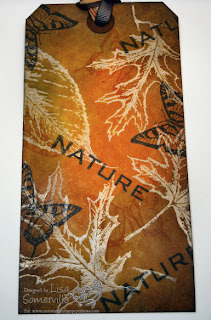 If you're looking for JustRite Stamps - be sure to email Betsy - she is taking preorder on JustRite products! great fall tag. our weather is cooling back off today..HEY..i'm ready for it..which technique did you use from tim?